The weather is a bit sad today. It’s like summer is slipping away these days. It seems early. I haven’t tanned properly yet. Oh well. It’s not like I’ve been chasing the sun these days. I’m such an indoor person that I use the cross-trainer machine at home even when the weather is good- but that’s mostly because it’s too sunny.. Wow look at me complain when the weather is bad and good. Ah anyways let’s move on to Four Others Under the Rainbow! Remember my friend Pin? She’s my health psychologist-to-be friend. She’s pretty awesome, doing her masters and doing research and whatnot. What better gift to give my psych buddy than Freud himself . 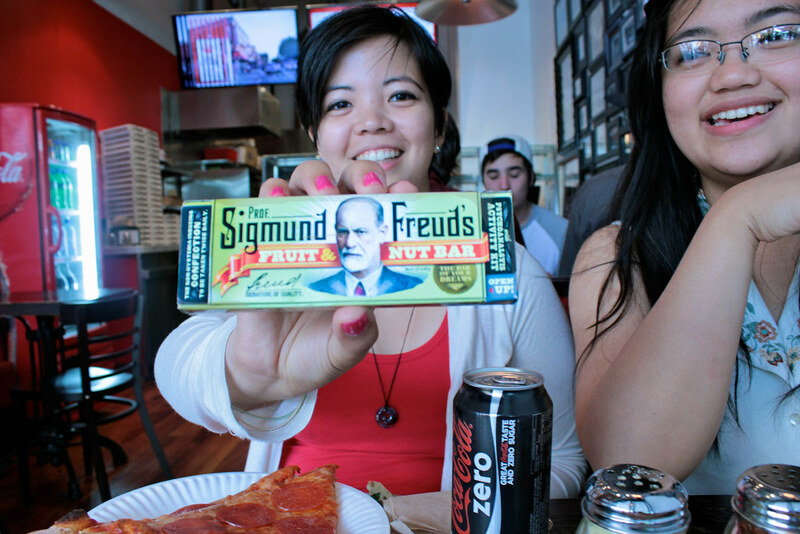 Okay well..Freud in quirky food packaging that is (Fruit and Nut bar…which is punny since you’d need Freud if you’re feeling a bit nuts.). When I found this in the shop I didn’t let it go. It was too adorable. BTW check out Pin’s blog here. My friend on the right is Darlene, she has a cool, artsy tumblr where she shares her photography . Speaking of artsy. Here’s Darlene’s gift to me. 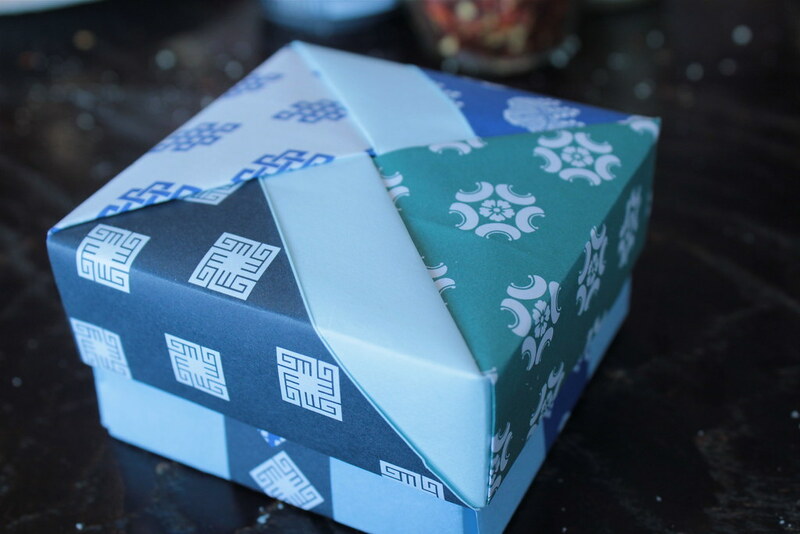 The cute origami box is a pretty cool wrapping, isn’t it? I was worried about squishing it inside my bag but it survived in the cramped conditions! Hahah. There’s a small canister of matcha powder inside. Actually…I forgot to ask Darlene if it really was matcha powder – I just kind of assumed it was. Hehehh.. 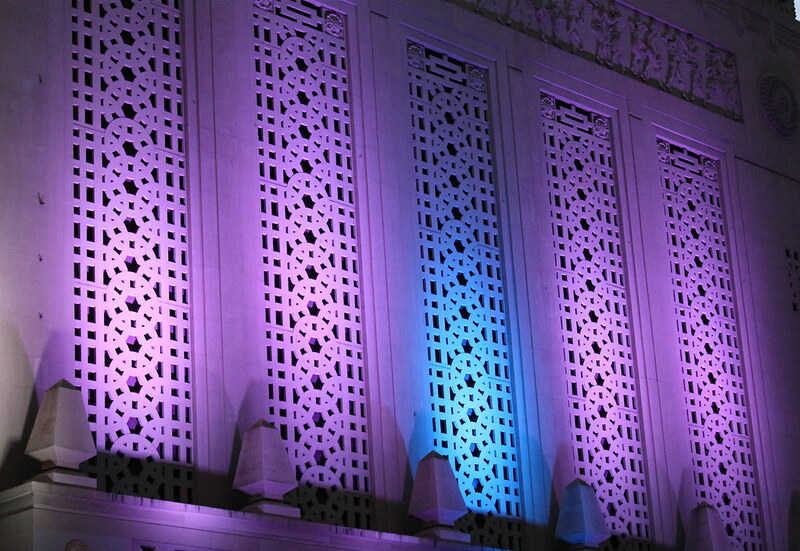 The sides of the Civic theatre at night. The purple lights are so cool. There aren’t a lot of incredible lights in the CBD at night, so this stood out for me. A little bit eerie and pretty. I still find it weird to walk by myself at night. My short legs magically walk faster after sundown. Better safe than whatever, right? Obviously not alert enough though…especially when photographing the sides of buildings at night. Hahha. Also kind of cute and creepy. A lot of Sto. Niño figures. Wonder why? It’s his feast day. It’s also called the Sinulog. I performed during the celebrations. It’s pretty awesome. 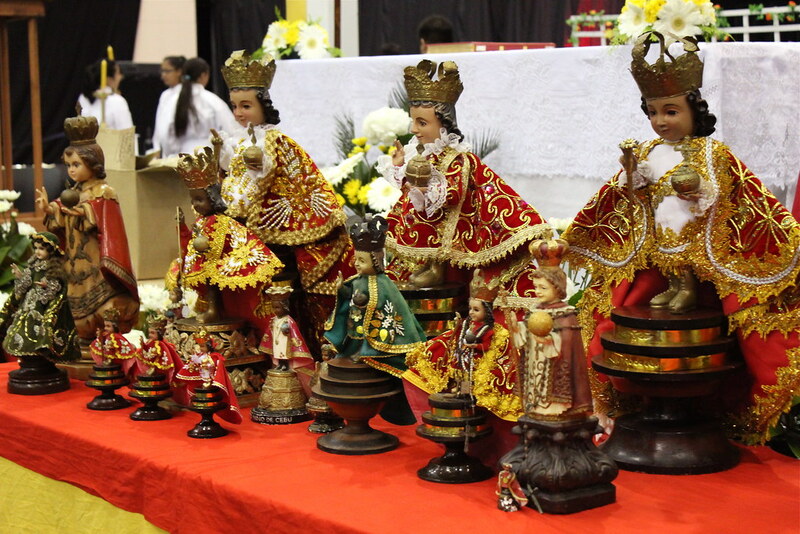 I’ve never been to the actual Sinulog in Cebu, Philippines but after attending the celebrations here in New Zealand I’m enticed to see it for myself. Have you been to Sinulog? How was it? 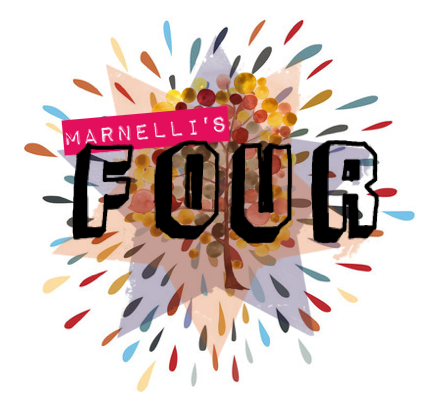 That’s all for today’s FOUR post. Sounds like a fun adventure! You are right, those statues are a bit creepy and cute all at the same time. 🙂 Glad you had a nice weekend.